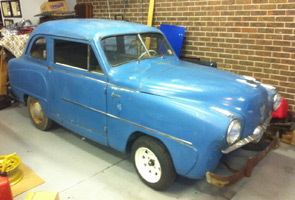 A recent departure from my inventory is this Barn Find 1951 Crosley Super Sedan. This car literally came from a collection of antique automobiles stored in a Dairy Barn. The registration on the windshield is from the Commonwealth of Pennsylvania in 1972. Side window decals show the state of Maine and the State of Florida! Both challenging trips in a 44 cubic inch mini sedan. The odometer read 31,233. 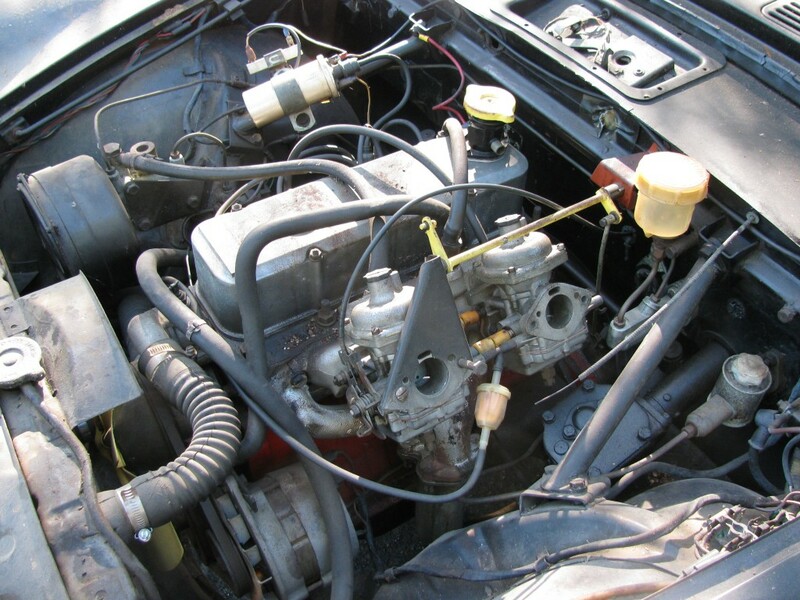 This car was a unmolested original with one blue color change paint coat over the original green color. The new owners seemed happy with their new project. BARN FIND! 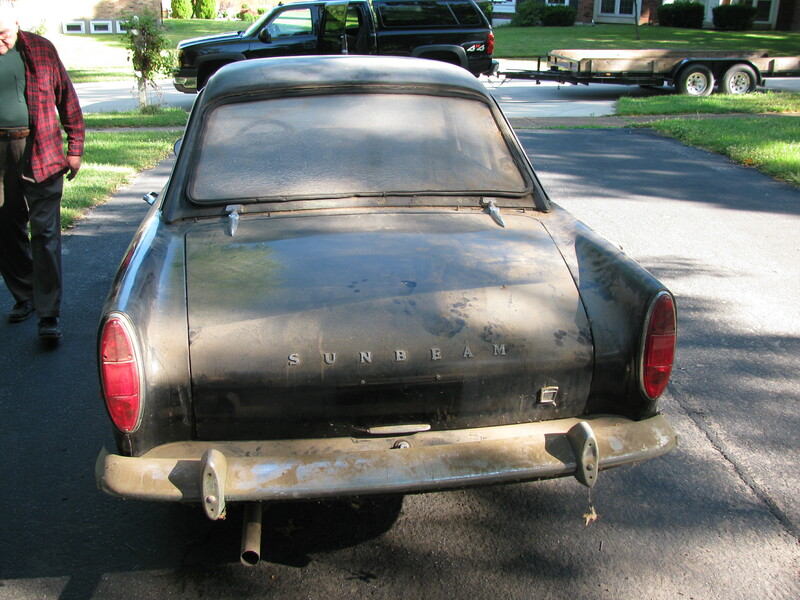 1967 Sunbeam Alpine under a tarp since 1975! 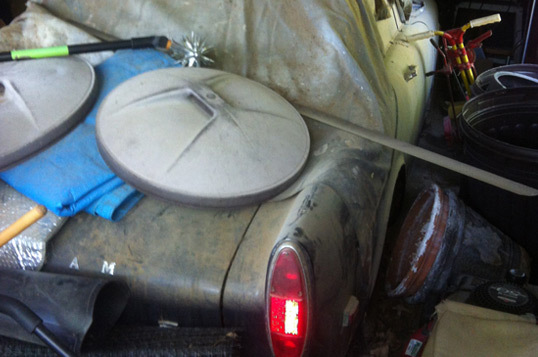 Shortly after acquiring the Mercedes 380 SEL we stumbled across this unbelievable BARN FIND! A Black/Black 1967 Sunbeam Alpine roadster with (aftermarket) hardtop that had been under the tarp shown in this photo since 1975! 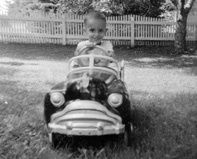 By my thinking that is 38 years ago, the car was only 8 years old when stored! We are still extracting this vehicle. Stay tuned for the details as this British sports car sees the light of day for the first time in nearly 40 years. 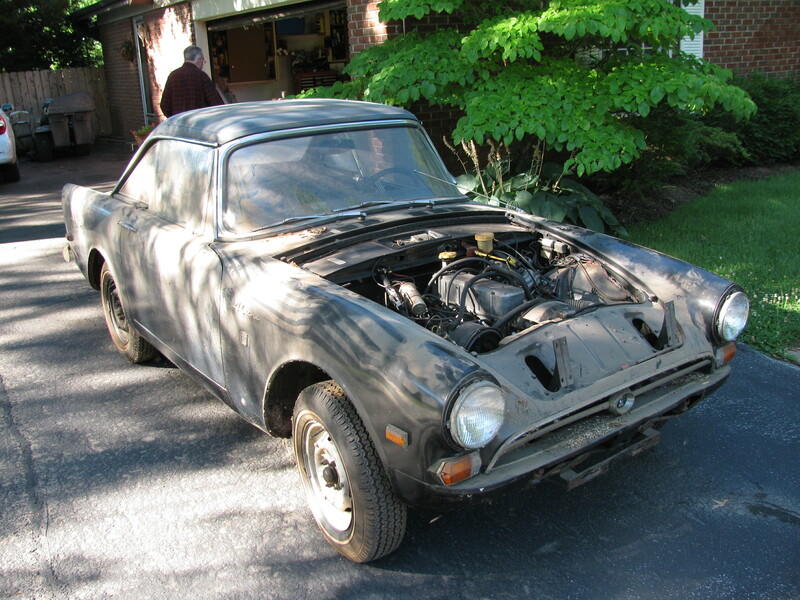 The 1967 Sunbeam Alpine sees the light of day for the first time in 38 years. We extract the Alpine from the garage with a minimum of effort. After a short ride back to the Flashback Racing shop we gave this Alpine a much needed bath. Checking out our new acquisition, we found that this car is equipped with a factory hardtop, a nice convertible top with clear back window and a full cockpit tonneau cover.